Absolutely Fabulous the movie has long been anticipated but until now there’s been little more than rumours about the possibility of a movie version of the famous 1990s TV show. 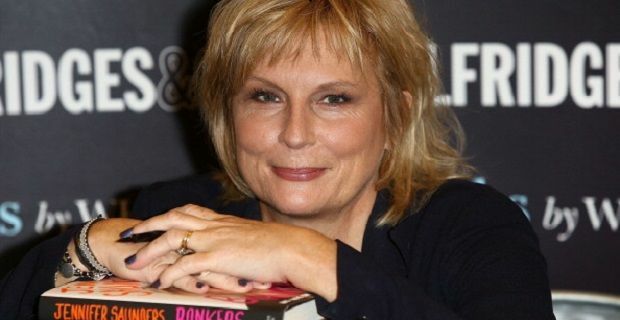 Back in 2011 the show’s creator Jennifer Saunders said she was working on a script for a film which would be released in 2012. At that time BBC Films were involved with the project which would see Edina and Patsy waking up on a deserted island. At the time Saunders told press that “Eddy and Patsy are looking for what they imagine glamorous life should be. They're constantly searching for that perfect place to sit or that perfect pair of sunglasses. It's Shangri-La and it just might be round the next corner. In the meantime, they decide to take Saffy's (Julia Sawalha) daughter off her - she calls her Jane, I call her Lola - but then they lose her." In April last year Saunders told Alan Carr that she’d developed doubt that there was a market for the film as the cast are now “too old” and she added that she was unhappy with her script which wasn’t good enough due to the pressure to write something up to the standards created by the original show. The latest Ab Fab movie news from Saunders came during an interview with Jonathan Ross when she joked: “Yes, well I have to do it now because I’ve threatened to a lot.” The original programme centred on Saunders’ heavy drinking PR agent Edina and Joanna Lumley’s chain smoking magazine editor Patsy. A lot of the humour was directed at Patsy’s daughter played by Julia Sawalha.